It’s Green Circle Pick-Up Time at Gravity! We are so proud to be a Sustainable Green Circle Certified Salon! Here at Gravity we like to be as environmentally-conscious as we can! About three years ago, we began to implement the Green Circle Salons program into our everyday business practice. 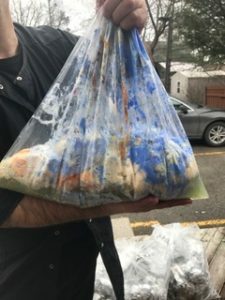 We found that we were throwing away so much hair and product (such as colour, lightener and foils), and we wanted to figure out a way that we could reduce the waste that we produced and put it towards a good cause. The Green Circle Salons Program was the perfect fit for our objectives, as it regularly collects all of our “waste” that we have no use for, and recycles it in a meaningful, safe and environmentally-friendly way. Green Circle Salons dedicates their practice to keeping chemicals from colours and lighteners out of water ways and disposing of them properly, and sustainably cleaning and recycling foils and colour tubes for some type of future use. But you may ask: What do they do with all of that HAIR? Well, that may arguably be their best and most innovative initiative of all (and our personal favourite!) The Green Circle Salons Program uses all of the excess hair that they pick up from salons – which is a LOT, trust us on this one – to fill oil-absorbing stockings to help contain oil spills in nearby bodies of water! 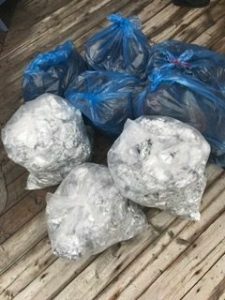 The collected hair is sent to Alouette Correctional Centre for Women in Maple Ridge, British Columbia, where the oil-absorbing “booms” are made, and then dispersed out to areas that need this type of assistance in controlling and containing oil spills. Now all of a sudden that 2-inch “trim” that your stylist suggests doesn’t seem so bad, does it? All of that hair is actually being put to good use, and you can feel great that just by getting your hair cut at our salon, you’re directly helping the environment with your luscious locks and making a huge positive difference in preserving our precious oceans! Partnering with Green Circle Salons has been one of our favourite salon initiatives to-date, and when we explain it to clients, they are always shocked and amazed at the difference that it makes! In such an environmentally-conscious society, we are so glad that we can do our part and be a more sustainable salon, simply by doing the jobs that we love so much, and that we do so well. For more information on the Green Circle Salons Program, feel free to give us a call and ask, or talk to your stylist next time you’re in! Thank YOU for helping US to preserve our beautiful earth! 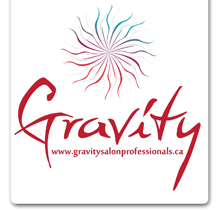 Gravity Salon Professionals really is Barrie’s Best Salon. 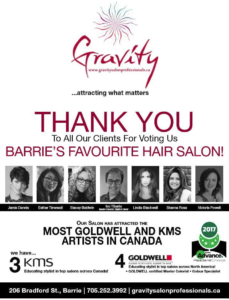 “After 34 years of being a stylist, I am thrilled to be recognized by my community and by my clients as Barrie’s Favourite Colour Technician. Receiving any award that recognizes your talent and accomplishments is an honour, but the fact that it came from my community and from my clients has made it so much more special to me, and I am so genuinely proud of this achievement. I take great pride in each and every guest that comes to visit, and it means so much when it’s my clients who are supporting me and acknowledging the work that I do, in the field that I love the most. The hair industry is very near and dear to my heart, as I have been a part of it from a very young age. I have been a licensed stylist for 34 years, but what many people do not know is that I have been a part of the industry for so much longer than that. Ever since I was a kid, I was always helping out in my family’s salon; helping to shampoo peoples’ hair and sweep floors, and continue to develop my passion for styling that has gotten me to where I am today. I have developed both as a stylist and as a person since then, but one thing that has never changed for me is the joy that I feel when I see people light up after they see what their stylist has created, and the new-found bounce in their step when they leave the salon. Alongside being a licensed stylist, I have also had the great privilege of working for Goldwell to help train both junior and senior stylists on a National level. Working with Goldwell has been such an amazing opportunity because it taught me so much as a stylist and a colourist, but it also allowed me to share my knowledge and experience with my colleagues, and to contribute to the hair industry in a meaningful way. Another thing that means so much to me is the community that voted for me. 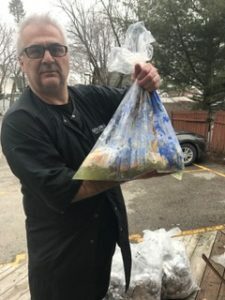 I have lived in Barrie for 17 years and have always dreamed of having a successful business here. I love Barrie because it has a small-town feel with big-city amenities. I truly feel like Barrie is reflective of my own personality – being relaxed, professional and inviting, and I feel that this has been reflected within Gravity as well. I made it my goal to create a warm and inviting atmosphere with high-quality, big-city talent and I am honoured that the community feels that this is reflected in both my personal work, and the work space that I have worked so hard to create. 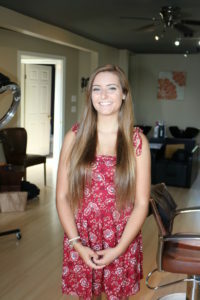 Riley Ough was excited to cut her hair last month in support of Gilda’s Club Simcoe Muskoka. The 16 year old hadn’t had a haircut in over 3 years and had more than enough to donate to 360 Hair. 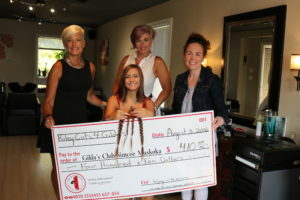 The goal was to raise awareness and funds for Gilda’s Club Simcoe Muskoka and was a true success with the community coming together to help raise over $410 in support of Riley Cuts 4 Cancer. 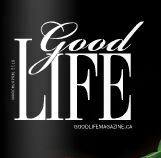 Check out the latest edition of Barrie’s Good Life Magazine, Art and Soul of Barrie. 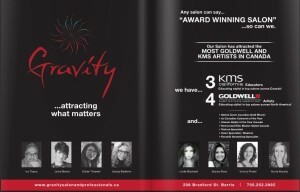 With the majority of our team being national and international Guest Artists/educators for Goldwell and KMS California, it is easy to see that education and training are our passion here at gravity. By educating other stylists, we are able to continuously broaden our wealth of knowledge and share it with both the team and our clients back in the salon.